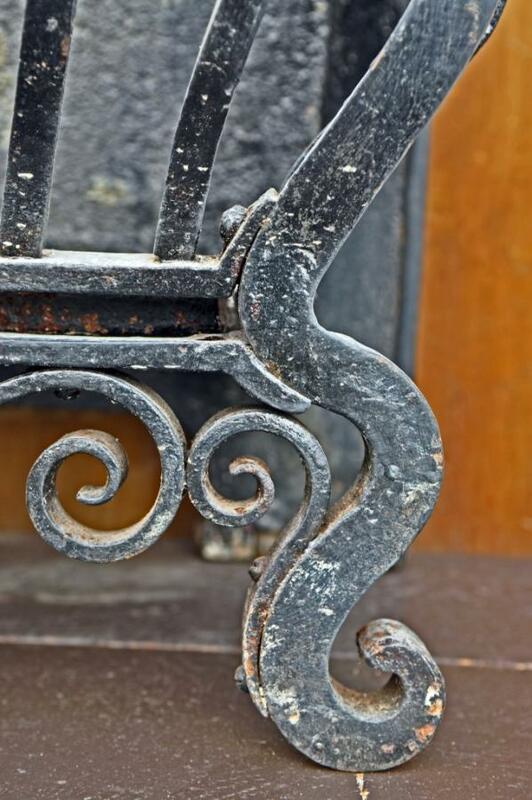 An antique approx early 20th century dog grate in perfect order. 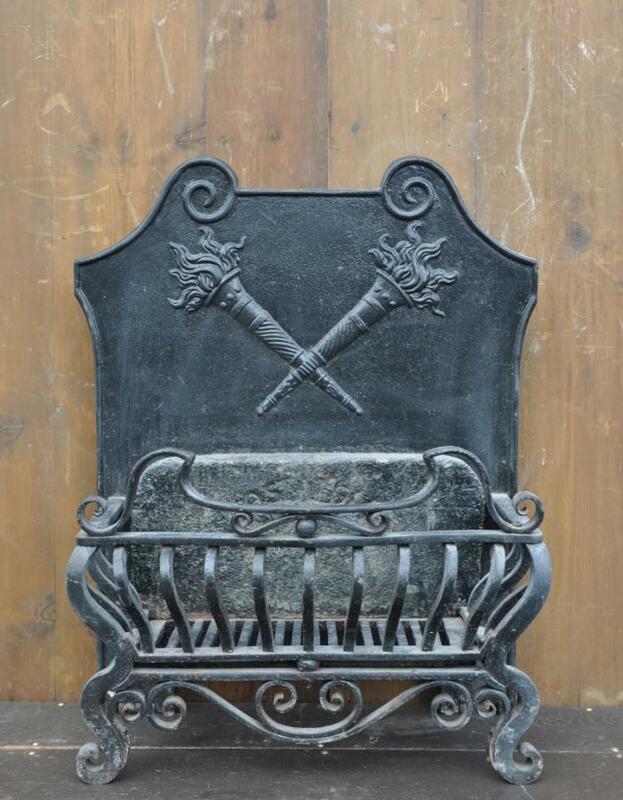 The boldly shaped cast iron back has scroll and crossed torch decoration and is fitted with brass rollers. 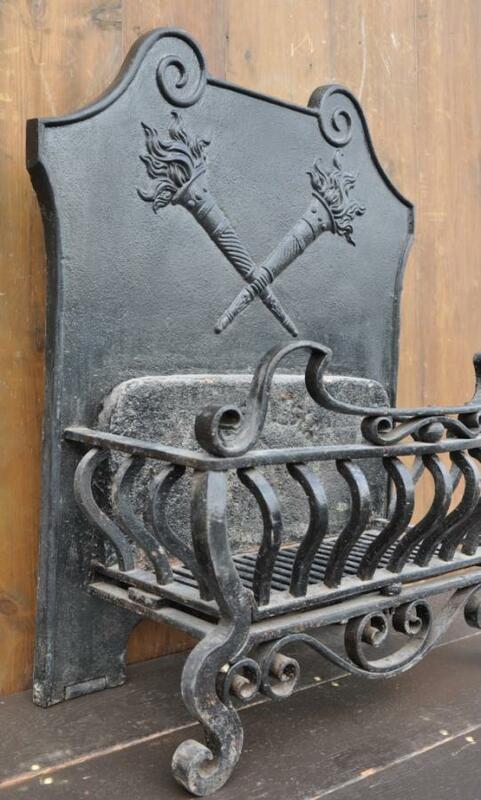 The front is shaped and scrolled wrought iron.English. Dimensions in inches/cms; 30.25/77 high by 24.75/63 max. width ( of back ) by 13/33 max. 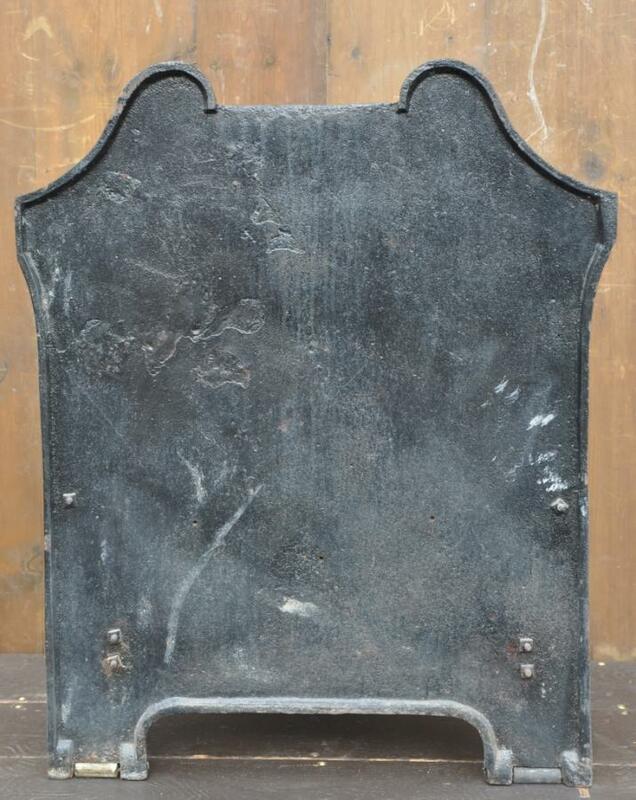 depth Internal dimensions; 16.5 x 7.5 inches at base. 19.75 x 9 inches at height of top bar. 21 x 10 inches max internal.